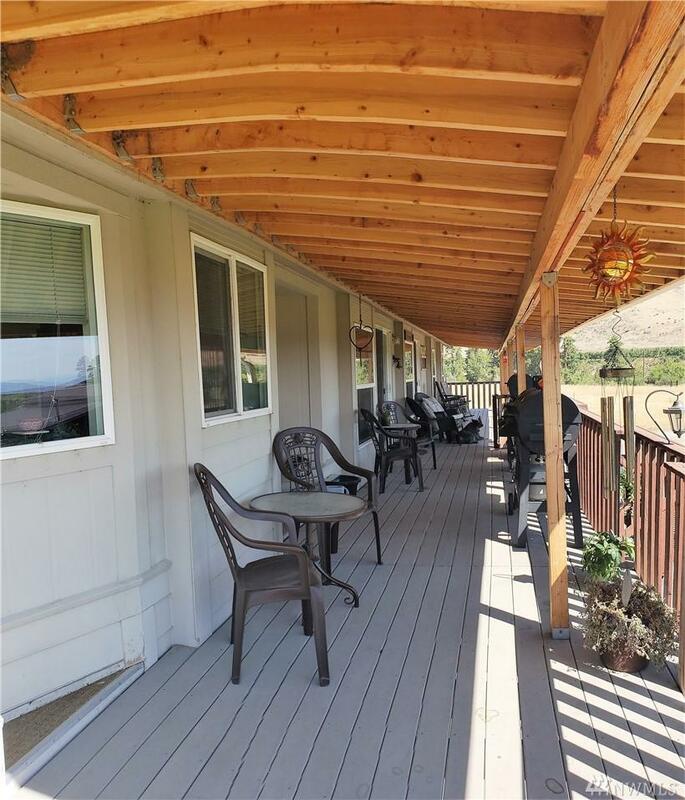 OKANOGAN Magnificent 2007 Valley Qual triple on basement 3+BR-3BA w/3 car attached garage+780 sf outbldg w/lean to+2 more storage outblds on 14.63 Acres! This massive space has full span covered deck;great open floor plan&natural light, vaulted ceilings, entertainment kitchen w/large pantry, formal dining space, family room fireplace; offers perfect MIL set up incl 2nd LOWER kitchen/full living space w/private entrance. Fenced for livestock rotation, irrigated w/set lines, hay producing+garden.